Every 6 months I update my top 10 favorite tabletop games list. I really enjoy making this list, as I continue to love games of all shapes and sizes with a fiery passion. So it makes sense to share this love on Valentine’s Day this year. There are many, many games that won’t make this list, including all games that I’ve designed or published (that doesn’t seem fair, so they’re not eligible) and even some of my favorite gaming experiences (Risk Legacy and Pandemic Legacy). Moving off the previous list and my Top 10 list for 2016 are several games I still adore, but they’re just not quite in the top 10 right now. 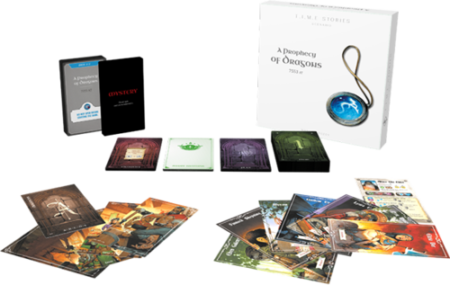 Barely missing the list are Splendor, Codenames, Burgle Bros, A Fake Artist Goes to New York, Legendary Encounters: Alien, and Scotland Yard. It’s possible that Blokus may someday get knocked off the Top 10, but for now, it’s here to stay…barely. 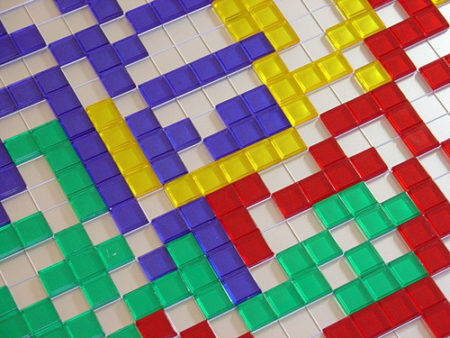 I just know that if three people want to play Blokus with me at game night, I’m in. 100%. No question. It makes my brain happy. When I think about Telestrations, I think about laughing so hard that a salty discharge comes out of my eyes. It’s the only game that consistently has that effect on me, and I’m grateful for it. I really admire what Uwe Rosenberg did with A Feast for Odin–it uses a similar spatial mechanism as Patchwork in a much more complex game. 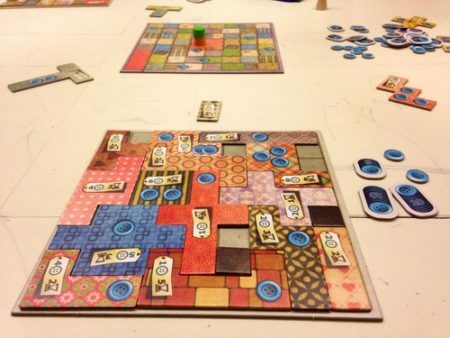 But I love that Patchwork is exactly what it is, nothing more, nothing less. It’s a marvel to teach and play. I will soon play Santorini for the first time, and I’m curious to see how it competes with Patchwork in the 2-player abstract category. This is the first newcomer to the list. 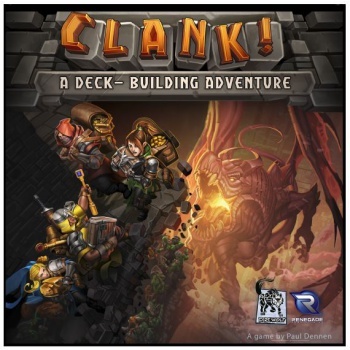 Clank is pure, unadulterated fun from beginning to end. It’s a deck-building game where you’re delving into a dungeon, grabbing a ton of loot, and running out while you’re still alive. I love how the different paths and the various cards you buy along the way make each decision interesting and each game different. I’ve come to realize how much I truly love engine-building games. Combine that with worker placement, and I’m sold. 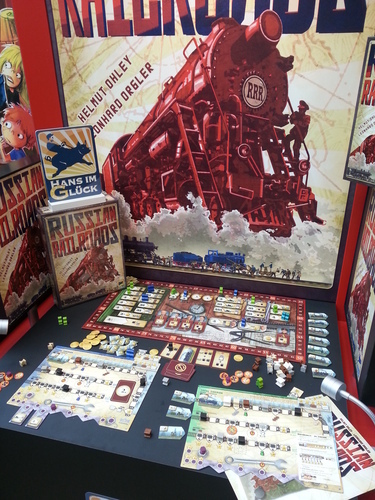 I’m not sure why this hasn’t made my list in the past–I’ve been playing it off and on for a few years–but it’s one of those games that I keep wanting to return to, especially with the German Railroads expansion. It’s tough to put this game in the middle of this list. Really, the top 5 are all so close that it doesn’t even matter much. 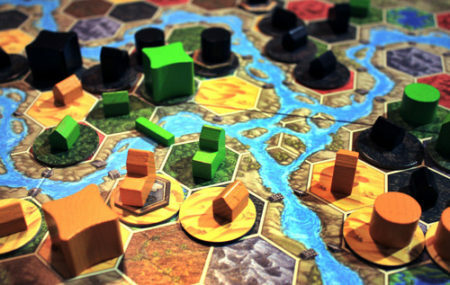 Terra Mystica is an immensely satisfying, rewarding game of construction, expansion, and engine building. The combination asymmetric factions makes every game unique (my favorites are the Ice Maidens and the Chaos Magicians). 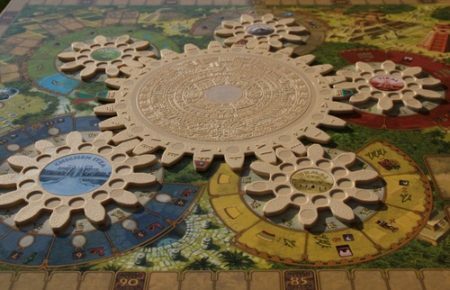 I think it says something about the genius of Tzolk’in that it introduced a brilliant mechanism (the gears) to the genre so perfectly that no game has even attempted to improve upon it. Trust me, I’ve thought about it…but then I just admit to myself that Tzolk’in is better. 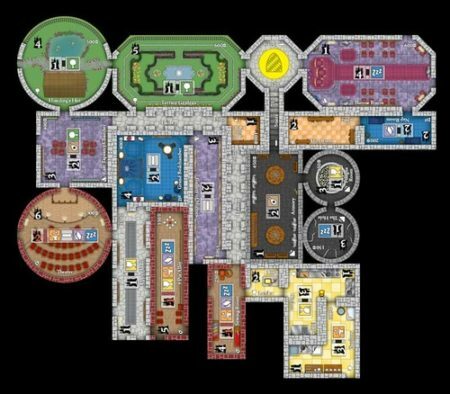 Words cannot describe how excited I get when a new expansion to T.I.M.E. Stories is available. I love everything about this game–the art, the stories, the mystery, the surprises, the various paths of discovery and adventure…the list goes on. Perhaps most of all, I love the memories I make while playing this game. I cannot stress enough how close these final two games are. Both of them scratch all of my itches: They’re rewarding games with pricing economics, engine-building, short-term and long-term goals, easy to teach, short enough that you can play twice at game night…they’re so, so good. I think the one minor quibble about Isle of Skye is that I don’t always feel like I won because I played better than everyone or that I lost because I played worse. But I enjoy the journey either way. This is my desert-island game. 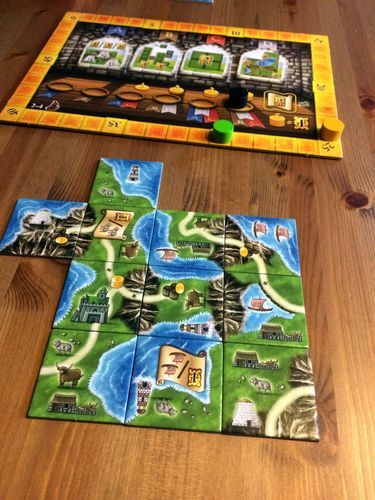 I continue to be amazed by how much I want to play Castles. In a game with virtually no asymmetry at the beginning of the game, every game feels unique, and by the end of the game every player has vastly different castles. 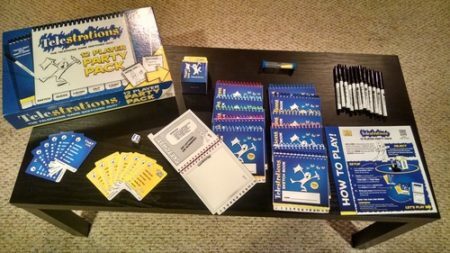 I adore this game, and I’m grateful my friend has the fancy insert for it–it really helps with setup. This entry was posted on Monday, February 13th, 2017 at 10:19 pm	and is filed under favorites and tagged with board game, favorites. You can follow any responses to this entry through the RSS 2.0 feed. T’zolkin, so much yes. Do you play with the expansion? Terra Mystica, yes yes yes. Have you seen that Terra Mystica:Gaia Project on BGG? Tzolk’in is one of those games (like Ludwig) that I enjoy even without the expansion, but I do like to bring in the expansions for both of them from time to time. And yeah, I’m super excited about Gaia! Although I enjoy playing many of the games that on your top 10 list, the only one that is in my Top 10 is Time Stories! Just bought the Expedition Endurance scenario. 🙂 I’m actually going to publish my Top 10 board games list on YouTube next week! Awesome, I look forward to seeing your list on the Tantrum House YouTube channel next week!